On a recent business trip, I stopped by a Panera Bread location in New England on a weeknight just a few minutes before closing. I had a minor concern that I might not be able to place an order due to the time, fueled by the fact that two employees with clipboards seemed to be taking an inventory of all of the remaining food items on the shelves. As it turned out I was very pleasantly surprised, not only because I was able to place an order for a quick dinner, but because those employees were in the middle of a very important nightly process – tallying and assembling a donation of all of the food items (bread, bagels, etc.) remaining on the shelves at day’s end. As noted on its website, Panera’s commitment to freshness means that several items remaining at the end of each day will not be retained for resale the following day. However, the company’s commitment to doing the right thing means that the food items in question will not go to waste. Instead, Panera donates all of the unsold bread and baked good items remaining at end-of-day as part of its “Day-End Dough-Nation” program. Having been fortunate enough to arrive while the nightly donation was being compiled, I dug deeper and asked a few open-ended questions of one of the Panera employees – and that’s where things really got impressive. Asked whether the store donates leftover food consistently, the employee responded “oh yes, we do this every day.” The matter-of-fact nature of the response intrigued me. Essentially the employee was saying “of course we donate the excess; why wouldn’t we?” So I delved further and asked about the recipients of the food, and whether the process for onboarding them was arduous. I expected to hear a comment with the word “liability” somewhere. Again, the response was very nonchalant – she noted that the process was very easy and that it really only involved providing clarity on non-profit status. She even asked: “Doesn’t everyone do this?” Unfortunately, no. Far too much food goes to waste every day in the US due in part to concerns over liability or reputational risk. Many organizations fear potential lawsuits from individuals claiming to be sickened from donated food. And while the Good Samaritan Act provides legal protection to organizations donating food in good faith, fear of reputational harm prevents many organizations from engaging in donation programs. As a result, millions of tons of edible food go to landfills versus hungry people annually in the US. That’s why my experience at Panera was so impressive. Regarding the related problems of hunger and food waste in this country, Panera “gets it” and is determined to do something about them. The employee’s responses were so natural – and delivered without interrupting the end-of-day donation process – that it was very clear to me that a key organizational tenet about feeding hungry people was understood and embraced right down to the front-line store level employee. The basic operational problem of doing something with excess food was matched with the need to feed hungry people. Complexity was removed from the equation. In fact, the company provides a simple set of instructions to help non-profits participate in the Day-End Dough-Nation program. Panera’s employees embrace this concept – which inspires them – and that inspiration bleeds over to customers. 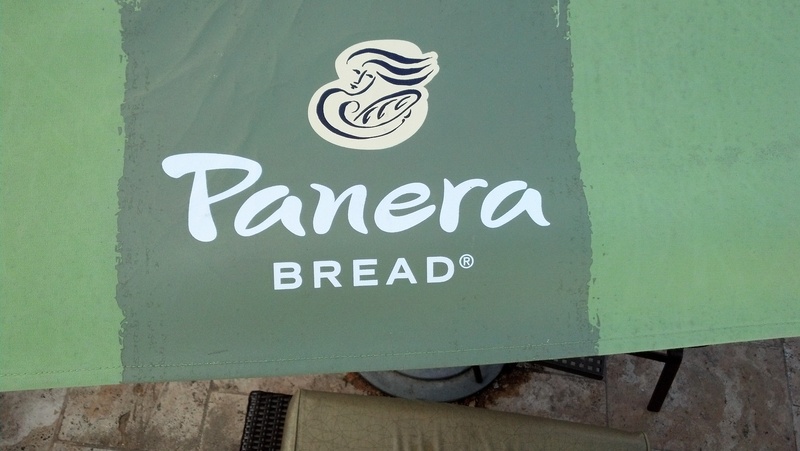 Panera goes beyond capturing and redistributing excess food daily. As founder Ron Shaich notes in a video, the company is conscious of “doing right by people” and seeks to make a difference in the lives of individuals that visit the stores. Further, Shaich notes that the company is committed to “being a positive force” to fix what it perceives to be a broken food system in the US – and to be a solution to the problem. Panera seeks to feed people, ensure dignity in the process, and elevate the issue of food insecurity. In addition to nightly food donations, Panera works with hunger-relief organizations to raise awareness of hunger, specifically assists low-income consumers through its “Panera Cares” stores (allowing consumers to pay what they can versus full price), supports local community events and fundraisers with in-kind donations, and provides weekend food for needy individuals through a backpack program. The company has also taken steps to positively impact the environment by implementing single-stream recycling into stores where possible. Coupled with a strong operational concept, the company’s desire to be a good corporate citizen by helping people and planet clearly works: investors have driven Panera’s stock price from $78 to $184 over the last 5 years. Business leaders seeking to improve their workforce and achieve triple-bottom line wins would do well to look to Ron Shaich and Panera Bread for lessons.